Our SMQG Holiday Party is Saturday, December 8, 2018 at 11 a.m. at the Fruitville Library and for members only. Bring a dish to share and a new gift $15 or less to swap. After a shared Holiday feast and gift swap, bring your latest quilts for Show and Tell. 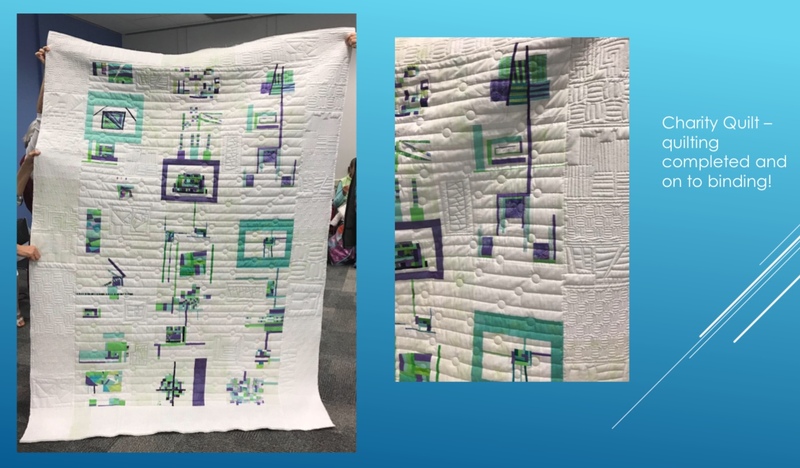 Many thanks to Robin Kriegs for the beautiful and detailed quilting on our QuiltCon 2019 Charity quilt entry! 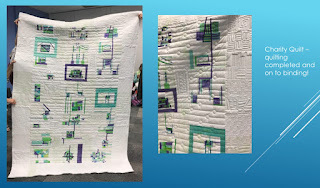 Robin used her skill at various edge-to-edge designs, cropping, and mark features on her Handiquilter Fusion longarm. Thank you Robin!